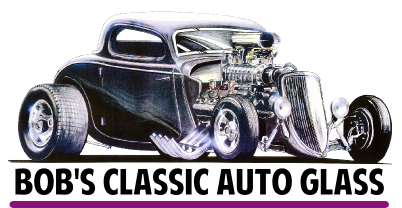 All glass sold by Bob's Classic Auto Glass is of the highest quality. Color is made into the glass itself, we never use cheap films or spray-on colors. We can provide most of our glass products in clear or three standard colors. NOTE: Color of glass varies from photos shown, actual color is lighter. Just as the name implies, this is clear with no tinting. This is a very popular color, similar to many modern vehicles. This color helps reduce headlight glare without reducing visibility. Our gray glass allows only 44% of the light to pass through the glass. Recommended only for side and rear glass. This color works best for vehicles painted in warm tones (yellow, orange, and brown paint jobs). NOTE: We do not produce any of the curved windows in the bronze tint, flat glass only.